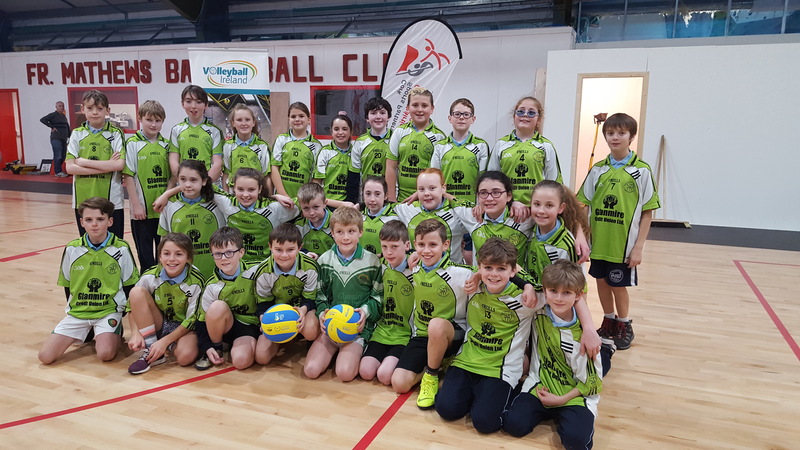 Mr Scanlon’s 5th class had a fantastic day in the Fr Mathew’s Sports Arena taking part in a Spike Ball Blitz organised by Cork Sports Partnership and Volleyball Ireland. 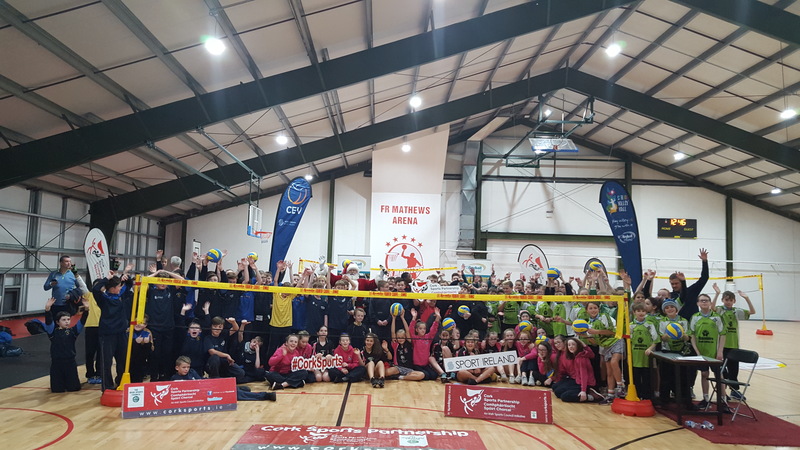 There were schools from around Cork city and suburbs taking part. The event was very well organised with everyone getting to participate and enjoy the game. 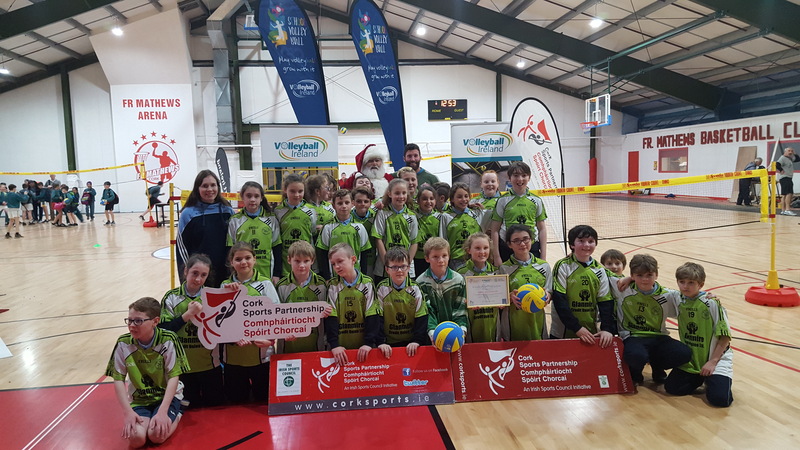 The class were presented with a certificate of participation at the end of the event which was topped off by a visit from Santa Claus. Thanks to everyone for organising and well done on a great day! 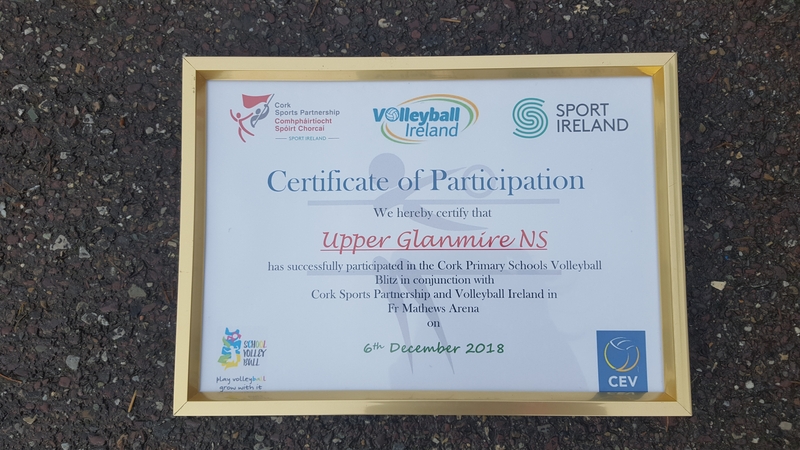 November 2018 – A huge thanks to Cork Sports Partnership for sponsoring equipment to our school as an introduction to Spike Ball. 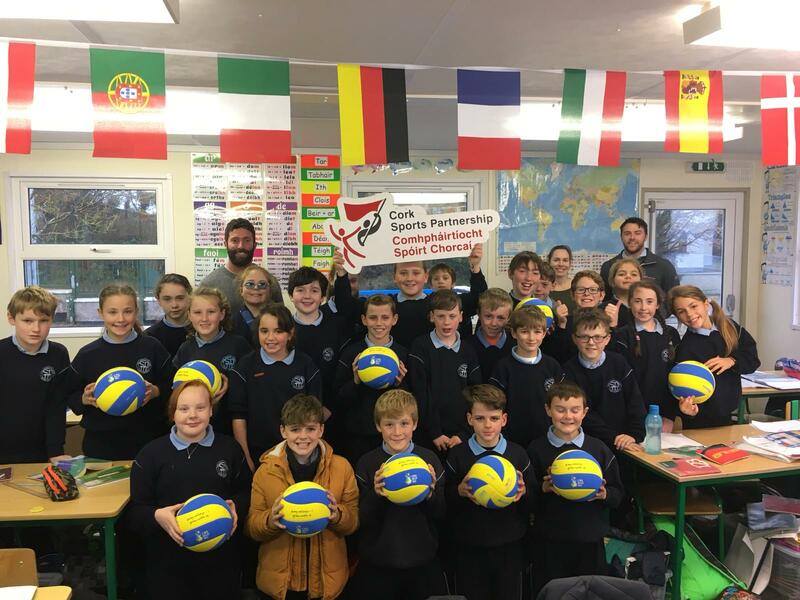 Mr Scanlon and Mrs O’Sullivan attended a training course 25/10/18 to learn about introducing Spike Ball to our school. 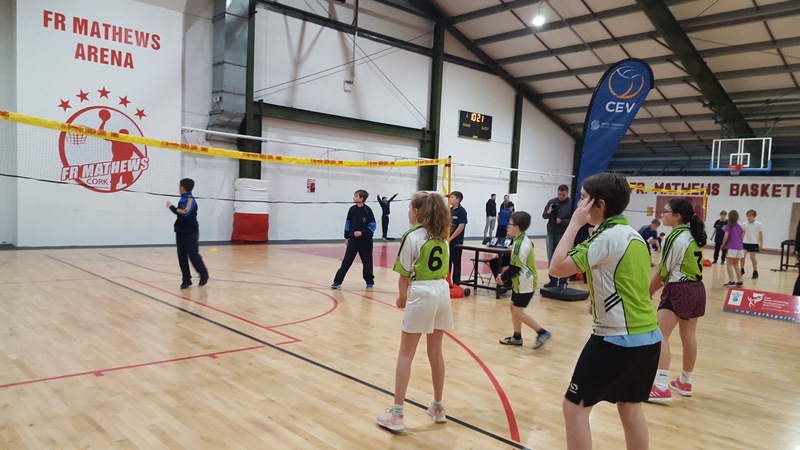 It is a game very closely related to volleyball and encourages participation of children of all sporting levels and abilities. 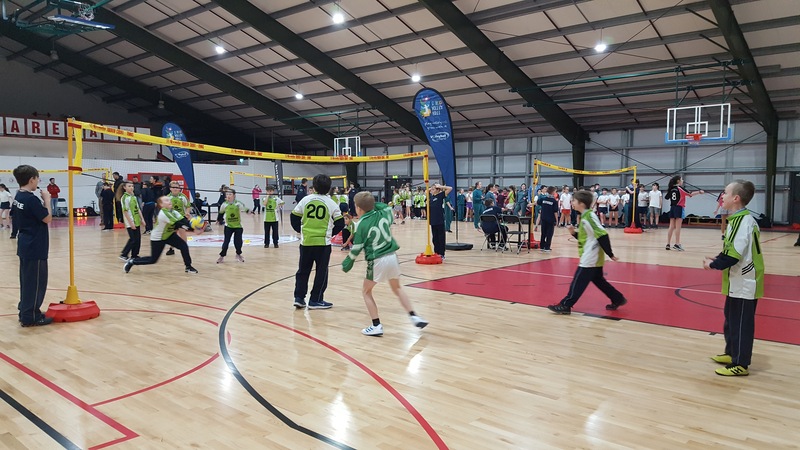 Children from our school will participate in a Spike Ball blitz in December taking place in Bishopstown.